The Maternal Wellness team at the Colorado Department of Public Health and Environment is joining women across the world to raise money for Postpartum Progress, which raises awareness and provides support to women as they recover from postpartum depression and other associated mood and anxiety disorders. On June 21st, the longest day of the year, we will raise money by climbing a mountain (exact one still TBD) here in Colorado to represent the symbolic rise out of the darkness of perinatal mood and anxiety disorders into the light of hope and recovery. 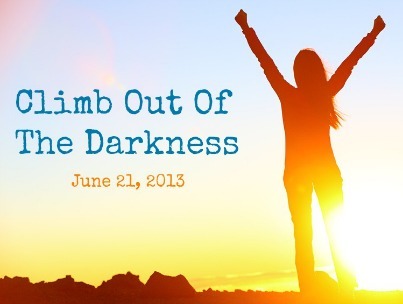 We welcome our family, friends and co-workers to join us on this hike in the glorious Colorado sunshine, donate to our team and be a part of Climb Out of the Darkness.